Prime Minister Theresa May’s controversial interview with American Vogue fashion magazine has hit the stands, with the British politician using the chance to praise new US President Donald Trump. The chat follows the sartorial scandal caused by an interview with the Sunday Times last December, when the PM was slammed for wearing a pair of leather trousers costing a reported £995 (about US$1,240). In her Vogue interview, which is accompanied by pictures taken by renowned photographer Annie Leibovitz, May commends Trump’s presidential victory despite his little political experience. She also tells the magazine that Trump was merely “being a gentleman” when he grabbed her hand at a joint press appearance during her recent US visit. “I like to think we got on,” May said of Trump, who has been widely criticized for making remarks deemed offensive and sexist. “All I would say is, I’ve been very clear: I’m not afraid to raise issues. And the nature of the relationship is such that we should be able to be frank and open with each other,” she added. 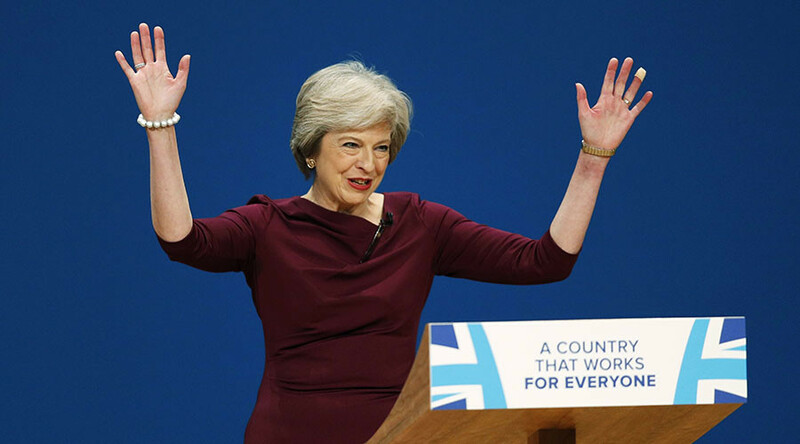 Britain’s second female leader also talked about her relationship with her husband, millionaire financier Philip May, and comparisons made between her and Margaret Thatcher’s government. “There can only ever be one Margaret Thatcher. I’m Theresa May. I do things my way,” the premier told Vogue. However, the magazine did not shy away from asking about May’s fashion fracas, questioning her as to whether it had been ill-advised to wear the famed leather trousers. 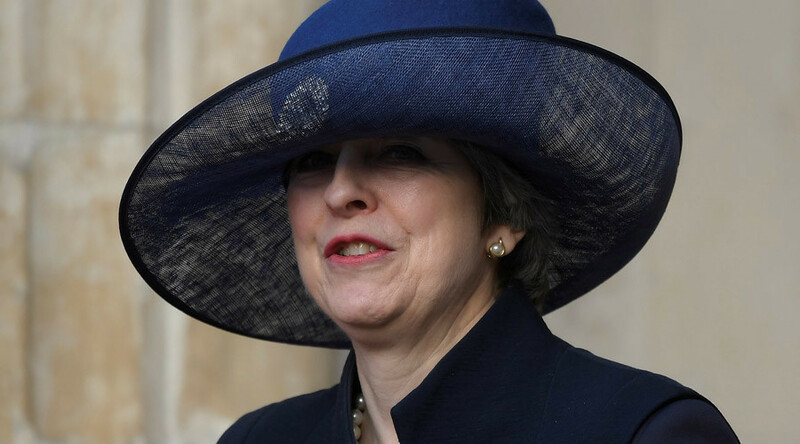 “Look, throughout my political career, people have commented on what I wear,” May said. 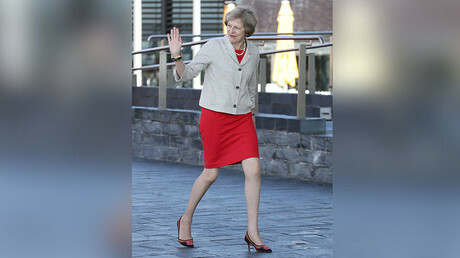 May is known for her love of quirky shoes and pricey dresses, having previously been criticized for wearing an £800 Escada dress while speaking about being the leader of the “party of the workers.” Much media attention has also been given to her many kitten heels, including a £200 Russell & Bromley pair with red toe caps, green crocodile skin heels, leopard print middle and bejeweled front.